Artificial Intelligence (AI) is a collection of machine learning, natural language processing, and cognitive computing designed for scale is slowly taking over and has proven the potential it has to enhance and extend the capabilities of humans, and help businesses achieve more, faster and in an efficient way. AI, blockchain, and cloud technologies are increasingly appearing on the horizon. Being able to make important decisions easily, it has managed to find its niche in manufacturing, where the use of AI algorithms has been hugely useful. Although not meant to replace the worker, it has been predominantly seen as a threat to the workforce. This is because when it comes to smart machines, AI is used currently to manage the more traditional repetitive tasks. Its impact has been more positive than negative. Companies are realizing the need to make bold and disruptive moves to get ahead. The use of AI is maturing fast and allowing organizations to benefit from many disruptive technology waves. 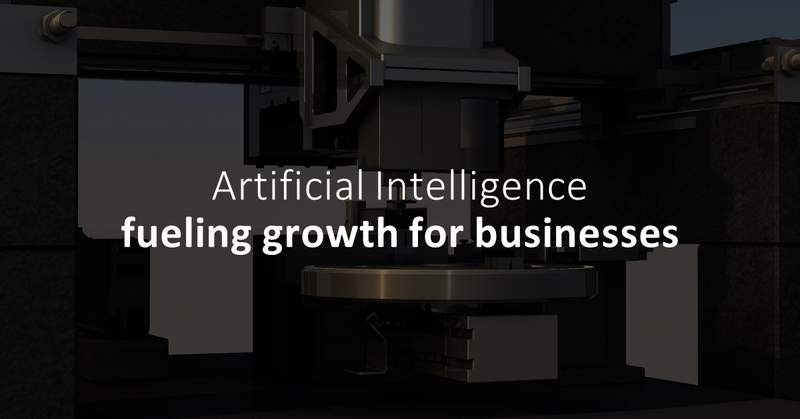 Through AI-driven analytics and real-time insights, businesses have been able to grow their revenues and predict the next steps. It has also been instrumental in creating a safer work environment for those working in the sector. Many companies are now witnessing the building of a new, global digital ecosystem that is based on the exponential growth of smart devices, high bandwidth connectivity, data analytics, and cloud computing. Which is an area where AI plays. Technology innovation, the growth of digitization, storage, and bandwidth – are shattering, reshaping, and redefining economics in and across industries. Customer behavior and nuances are changing as we see more people jumping on the digital bandwagon. This is shaping how manufacturers choose to offer their services. Customers want a seamless user-experience, which can easily be done through technology and leveraging AI. They are able to also forecast future outcomes to make better strategic decision and further propel their market growth. Manufacturers around the world are rapidly investing in AI to create new products and services, while driving down production costs over the longer term. The advantage of using robots has been that they are seen as more capable and better able to interact with—and take instructions from—humans. They should be seen as enablers and allow a company to do what was not previously as simple, e.g. it can help companies automate their customer support or network operations. This transformation is changing the way companies think about how they engage their customers, empower their employees and optimize their operations. For companies to realize the full potential of AI, they need to combine the capabilities of their employees and Artificial Intelligence to enable better usage and understand of smart machines for a more connected and productive workplace. Along another dimension, it can generate either known answers more swiftly than humans or “unknown” answers, and easily process hundreds of thousands of retail sales to generate insight. AI, IoT and cybersecurity are moving towards fueling growth for businesses, and are active targets of venture funding, and will undoubtedly shape future performances of manufacturers. Within the manufacturing industry, automation is an inevitable outcome of the Fourth Industrial Revolution. As more emerging technologies come to the fore including Blockchain, Augmented Reality and AI, the inevitable convergence of these trends will happen quickly, and manufacturers should look to embrace and invest now. Learn more about Digital Transformation and the Manufacturing Industry 4.0 by downloading our ebook.